When you want to transform your style, virgin hair extensions and weaves can be used to create natural-looking length and volume. Commonly made from Indian or Brazilian hair, extensions and weaves are sewn in and blended with the rest of your hair. These products can be styled, colored, and in many cases, removed and reused. How should you care for your virgin hair products? The experts at True Indian Hair in New York City have prepared this handy guide. Can Virgin Hair Be Reused? Yes, as long as it has been maintained properly. While synthetic and pre-processed hair products don’t respond well to reuse, virgin Indian and Brazilian hair will retain its healthy, natural appearance for several uses. How Should I Care for my Virgin Hair to Extend Its Life Span? Extensions, especially long ones, do not need to be washed. In fact, the less wet you get them, the better. That said, you need to be diligent about keeping your scalp clean. To clean your scalp without wetting the rest of your hair, use a cotton ball dipped in witch hazel or an antiseptic cleanser and gently wipe the area. 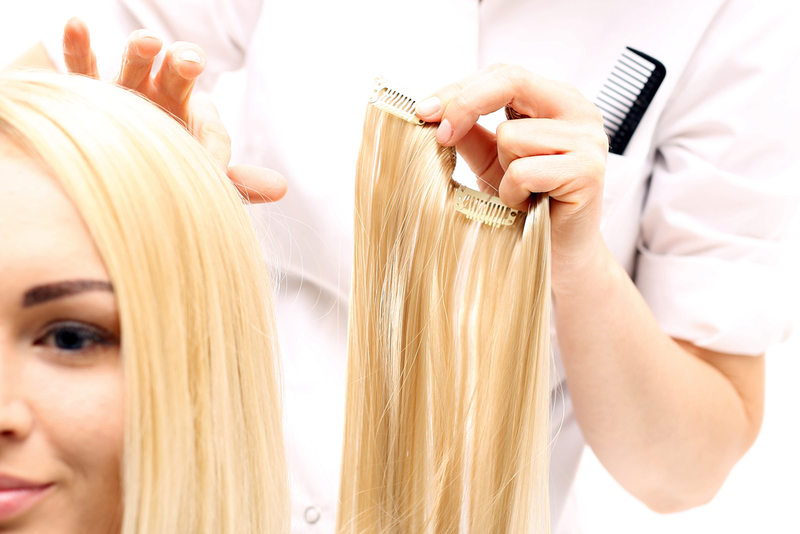 Washing the hair while you have extensions is discouraged, but virgin extensions should be washed gently before reuse. Sleep on satin pillowcases and avoiding lying directly on the extensions. The heat from your head and friction from a rough pillowcase will dry out the extensions and create a flat, damaged look. How Do You Take Extensions Out? A virgin hair professional will use a seam ripper to remove your extensions gently and safely. Once they’re removed, the extensions should be washed, and your natural hair should undergo a deep conditioning treatment to repair any damage. When you want the latest hair extension and weave colors and styles, you can count on the virgin hair experts at True Indian Hair. Call (718) 221-0181 to reach their Flatbush location, (917) 265-8588 to reach their Manhattan location, or (718) 262-8231 to reach their Queens location. Visit the store’s website to learn more about their products.